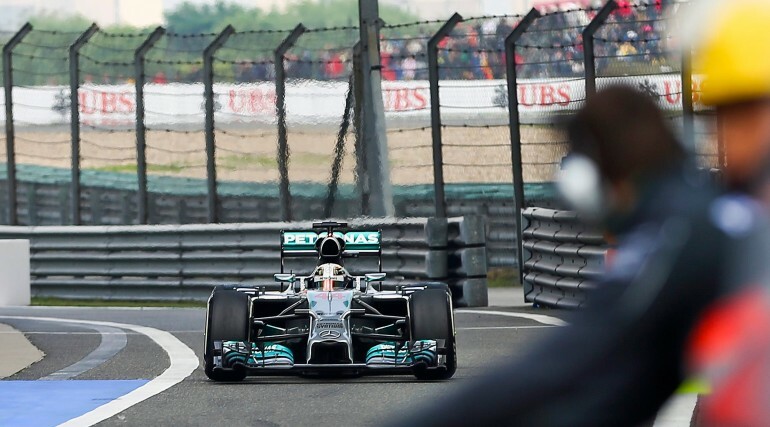 The 2014 Formula 1 Spanish Grand Prix is Sunday, May 11, at 7:30 am EDT. For race fans out there that will not have access to NBC Sports when the lights go out, be sure to catch the live stream online by signing up for NBC Sports LiveExtra here. Unsurprisingly, the fastest team remains the fastest team as Mercedes duo Lewis Hamilton and Nico Rosberg lock out the first row on the grid. Lewis had a relatively difficult start to the weekend as his teammate was consistently faster than him during Friday's free practice sessions and through qualifying. Remarkably, Hamilton's last lap set the fastest time of 1:25.232s, just 0.168 ahead of Nico. "it's still all to play for tomorrow," said Rosberg. "Second place is only a little bit away from optimum and all it takes is a good start tomorrow and I'm in the lead again.